If you're a Tidal user and iPhone owner and you've been bummed about the fact that the Tidal iOS app didn't support MQA, good news! Tidal has updated the app to support TIDAL Masters playback. 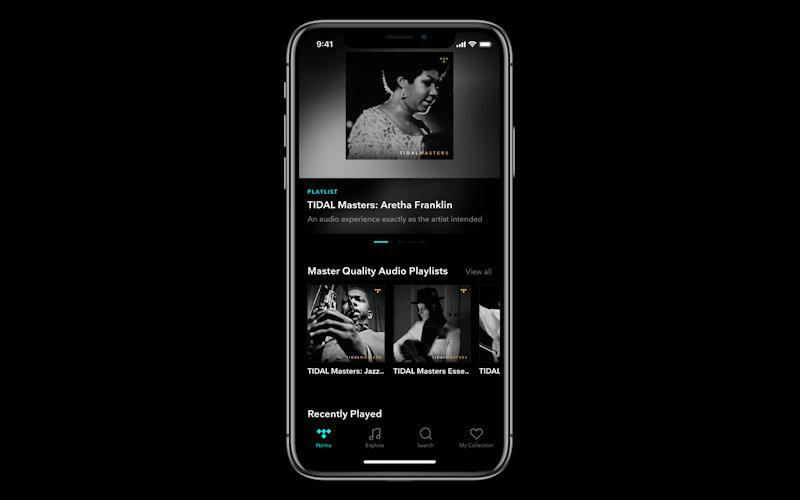 TIDAL, in partnership with MQA, has announced that Master quality tracks are now available via iPhone devices, continuing to optimise the smartphone listening experience and deliver guaranteed master quality recordings direct from the source. The eagerly awaited update to TIDAL's iOS app follows the recent Android news announced at CES in January. With TIDAL Masters playback now accessible on iPhones and Android smartphones, as well as desktop and connected devices, you can experience studio quality sound wherever you choose to listen. Using a process called 'music origami', MQA's award-winning technology folds master files into smaller files that can be streamed on the go. The MQA decoder in the app recovers all the direct music-related information and also authenticates the source of the original master recording. Mike Jbara, MQA CEO, commented, "From our ongoing work with engineers and artists, we know the importance creators place on delivering the original sound they created all the way to the music fan. Through our global partnership with TIDAL, this becomes a reality wherever you're enjoying your music." Lior Tibon, TIDAL COO, said, "Bringing music to life, just as the artist intended, is a core value of the TIDAL platform and we couldn't be more excited to finally bring master quality music to both major mobile operating systems." MQA has partnerships with all three major record labels, as well as with Merlin, representing the independent label community, and the TIDAL Masters catalogue continues to grow rapidly, covering new releases and catalogue recordings. • Visit the MQA website and the Tidal website for more information. • Read MQA Adds More New Partners at Munich, Expands Relationships With Others Like LG at HomeTheaterReview.com.